Are you interested in hosting a March Madness Fundraiser? This type of event can raise money for your organization and be a great way to show support for your favorite college basketball team. The National Collegiate Athletic Association (NCAA) organizes a championship basketball tournament every year during the month of March. This large tournament is called March Madness. It consists of numerous collegiate teams competing for the winning title. Since the event lasts for several weeks and teams have the opportunity to advance to the next round, many people throughout the U.S. tune in to watch and choose a team that they think will be the ultimate winner. Since March Madness is such a popular sporting event, it can be used as a theme for a fundraising as well. 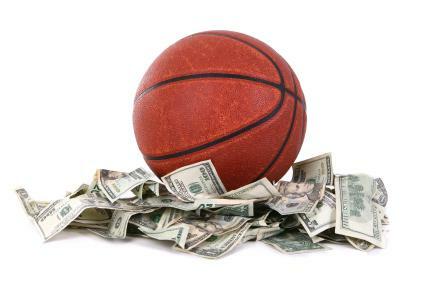 If your organization is interested in a different type of fundraiser, consider holding a March Madness event. There are endless possibilities that can be used with this theme and appeal to a wide range of people. Hold a March Madness party for one of the games. This one day event can bring in money while entertaining your guests. All you need for this event is a large television and plenty of space. Admission can be charged at the door and guests will receive food and drink while watching the games. Combine other event activities with your party to raise additional funds. For example, if you are holding your Mach Madness party in a gym, organize a basketball contest. Participants can pay a small fee to compete against eachother for a chance to win a prize. Ask local businesses to donate certificates or other items to be used in a basket that will be raffled off. Try to use the March Madness theme in the basket and include basketball related items. Tickets can be sold for a chance to win the basket. Consider holding a prize money raffle. Set up a bracket poll with the March Madness teams and have people select who they think will be the winning team. Money collected can be set aside for a prize and the rest can be used as a donation to your organization. Organize your own March Madness tournament. Get as many teams as possible to sign up to participate in the tournament and have brackets listing each team. Donations can be made to help teams advance to the next round. The team that gets the most money is the winner. To raise more money, set up a concession stand and sell popcorn and other refreshments. A March Madness fundraiser theme has many possibilities. Of course when people hear the name, they automatically may think basketball but there are other variations to consider as well. Why not hold a cook-off and have teams compete against each other in various categories? The first round can be appetizers then the winners from that round advance to main course then desserts. Charge a fee to participate and award a prize to the winner. Remember to be creative. Many groups hold fundraisers throughout the year and those who do the same old thing may be overlooked. If you try something new and unique, you will stand out and attract people who may not have been involved with your cause in the past. An important part of any fundraiser is getting the word out. Be sure to advertise your event in advance to attract the most people and reach your fundraising goal.